Without perhaps even knowing it, it is highly likely that you’ve owned or interacted with numerous BASF products. Labelling the German enterprise a chemical company is exceedingly narrow. Although chemistry is its core, the firm operates in almost as many markets as you can think of; from chemicals and electronics, to nutrition and textiles; construction and furniture, to energy and footwear. Among many, many more. In the face of this vast portfolio and steady growth, BASF’s Asia-Pacific PR team has grown accordingly. 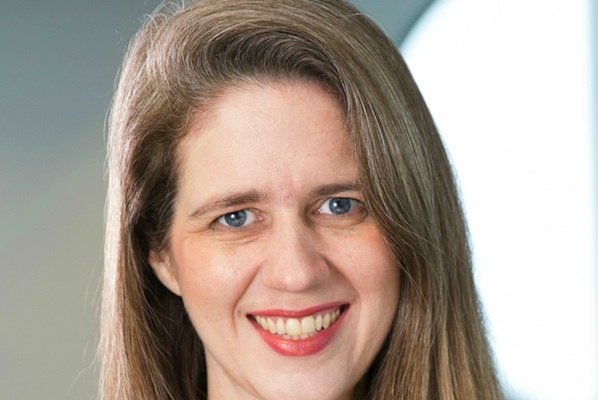 Genevieve Hilton, head of external communications, corporate affairs Asia-Pacific, says she wants her staff to set the benchmark for the industry, and that means learning evermore as the PR world evolves. "Over the past few years the size of the regional team has remained essentially the same, while the country and business unit communications teams have grown in line with the growth of the business. However, the required skill sets have expanded significantly," she says. Hilton explains that in Asia-Pacific, a regional team in Hong Kong provides communications resources, support and guidance to 15 countries, stretching from Japan to New Zealand to Pakistan; to 13 regional business units and to various regional functions. Each of these countries and business units also has one or more dedicated communicators and in some larger countries such as China and India, this can include a position fully dedicated to media and stakeholder relations. All BASF’s public relations functions in APAC belong to the external communications team, which is part of corporate affairs. At the regional team in Hong Kong, where Hilton is based, the external communications team handles issues including media relations, crisis comms, online platforms, stakeholder relations and corporate reporting. In the past two years, in line with BASF’s corporate strategy, ‘We Create Chemistry’, Hilton’s team has also played an increasingly active role in regulatory advocacy. This year, communications have all been based around BASF’s 150th anniversary, with the brand marking this milestone through a year-long co-creation programme called ‘Creator Space’; it is also the 130th anniversary of the brand’s presence in China. Hilton says the Creator Space programme "aims to create innovations that address global sustainability challenges – in the areas of smart energy, urban living, and sustainable food, in a collaborative way." Examples of activities include innovation workshops with customers and also with NGOs, academics, external experts and even artists. The implementation of this programme has been the major focus for BASF communications in 2015 and Hilton expects to realise the outcomes in 2016 and beyond. "The ‘Creator Space’ programme is a joint effort by BASF colleagues from the communications and innovation teams," explains Hilton. "Some of the major activities include Creator Space online, an online collaboration platform which invites stakeholders from diverse backgrounds to post ideas to tackle the challenges of sustainability in energy, urban living, and food." Other initiatives include open innovation contests such as the Asia-Pacific PhD Challenge, which focuses on chemistry innovations for more environmentally friendly cars, and employee jamming sessions in Malaysia, where BASF brought together its Shared Service Center colleagues, business colleagues, and joint venture colleagues to brainstorm on potential BASF products that could address the problems around sustainable urban living. Customer workshops have also been held with Panasonic in Japan, where BASF is exploring opportunities in energy harvesting, while the brand has also hosted expert summits, such as the Creator Space Summit in India, where it sought to develop ideas on sustainable water solutions for Mumbai. BASF employs retainer agencies on an ongoing basis in countries such as Korea and Japan, where its activities are more consistent. However, says Hilton, the needs of the 13 business units in this region are normally so diverse – especially in China – that project-based relationships make more sense. Among other agencies, it frequently works with Edelman, Ogilvy and Ketchum, as well as a number of local firms. "Specifically for media training, at our regional headquarters in Singapore and Hong Kong, as well as in some other markets, we have had an ongoing relationship with FleishmanHillard for several years," explains Hilton. "For media analysis, we work with Unicepta in China and iSentia in all of Asia-Pacific." As a brand that servers nearly every industry, with products that often have niche applications, defining focus areas is a challenge. In this context, says Hilton, it is extremely difficult to identify the single most resonant or most interesting topic for a particular market at a particular moment, and at the same time the one that best meets the brand’s business needs. BASF therefore often spends a significant amount of its PR efforts on what Hilton terms ‘infotainment’ – presenting stories, some of which are based on highly technical and complex subjects, in an accessible way that helps the brand connect with the needs of its stakeholders. A further challenge is overcoming category barriers. Not all chemical companies operating in this region, says Hilton, are equally committed to safety and environmental protection – and a serious incident from any chemical company can damage trust in the entire industry. For this reason, adds Hilton, BASF places a huge emphasis on bringing its sustainability focus to the broader chemical industry through workshops, formal education, dialogue, and the promulgation of international standards. "Over the past years we have moved away from a focus on pure media relations skills, and now demand that our PR colleagues be able to handle stakeholder mapping and dialogue, corporate sustainability reporting (including on a country level), community relations, and also regulatory advocacy," affirms Hilton. The brand also demands a high level of crisis communications skill from its PR colleagues and all of this now takes place much more in an online environment than it previously did. Hilton believes the work her team does on a PR scale meets the wider business need as everything "we do is designed to have a direct and positive impact on our business, in line with our corporate purpose: we create chemistry for a sustainable future". But she also believes BASF always has room for improvement in its target-setting and measurement capabilities. "We currently use a combination of media analysis, feedback forms, brand tracking studies, online metrics, and other methods to assess our performance against targets," she says. As an example of her team’s work being part of BASF’s business strategy, Hilton’s team has to use communications strategies to create dialogue around the brand’s so-called "Accelerator" products; those which have the most direct and significant impact in helping BASF’s customers meet their sustainability goals. "We have an ambitious goal to increase the share of our Accelerator products to 28 percent of BASF’s total chemical sales by 2020, and for this we require extensive communications with our customers and other stakeholders," adds Hilton. "As we have more than 100 production sites throughout Asia-Pacific, we also see the strong contribution of PR in supporting our operations."